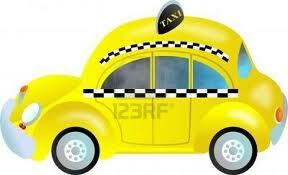 A French exit means leaving without saying goodbye, disappearing suddenly; we might call it ghosting. Have you ever done it? Shame on you if you have, but we all probably have at least been tempted. Patrick deWitt, known for his pointed satire of human foibles as the author of The Sisters Brothers and The Undermajordomo Minor, creates another off-beat examination of our modern life and times in his novel, French Exit. With a combination of Oscar Wilde irony, Noel Coward wit, and Wes Anderson macabre, French Exit is both funny and morbid. Frances Price gained her reputation when she finds her wealthy philandering husband’s dead body, leaves him in bed telling noone, and goes off for a weekend ski vacation. It’s twenty years later and sixty-five year old Frances has shopped her way through all the money. Forced to leave her posh New York City surroundings and sell all her possessions, she cruises off to Paris with her son Malcolm and her cat, Small Frank, who seems to be the reincarnation of her dead husband, to live in her friend’s small vacant apartment, while she decides how to deal with her penniless situation. Frances’s 32-year-old son Malcolm’s long-suffering fiancée, Susan, affectionately describes him as a “lugubrious toddler of a man” and a “pile of American garbage” when he breaks off their long-standing engagement before sailing away. Malcolm drinks, steals trinkets from his hosts at parties, and generally enjoys the rich boy’s life of doing nothing. The news that he and Frances are not only broke but moving to Paris doesn’t seem to change his attitude. The novel continues its second half in Paris, adding more absurd characters. The characters are terrible people and the situation they find themselves in is indefensible. 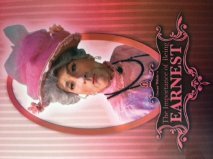 But the dialogue in this comedy of manners lifts the tale with its wit, as it skewers the worst of high society – especially the prevalence of appearance over substance – a timely observation for today’s society. Not much happens as a plot in the story, but the characters and deWitt’s sharp dialogue and wordplay will compel you to keep reading to find out how they will manage in the end. What will become of Frances and Malcolm? Will Frank finally get what he deserves? The ending is pretty depressing as DeWitt subliminally delivers a social commentary on finding, or losing, one’s purpose in life. If you enjoyed deWitt’s The Sisters Brothers, you will be satisfied with the absurdity and distraction of French Exit, and perhaps gasp as you laugh. Although I am a fan of Oscar Wilde’s plays, I was surprised to discover his stories for children. In The Fairy Tales of Oscar Wilde – a collection of nine stories reminiscent of Hans Christian Anderson – Wilde foregoes his usual satire and biting wit to deliver compassion and empathy for the downtrodden. In “The Happy Prince,” the most widely known of the collection, a golden statue revered by the local folk, uses a swallow to deliver his wealth to the poor. When the Prince’s sapphire eyes and ruby stone in his sword are gone, along with all the gold plating on his statue, the tide of popularity he had enjoyed with the town is suddenly over. The statue is melted down, but his heart remains. Variety published a story two years ago, citing a movie starring Rupert Everett who is currently playing Oscar Wilde on Broadway’s The Judas Kiss. The prospective movie has the title “The Happy Prince”(yet to be released), and chronicles the life of Oscar Wilde – “formerly a celebrity, and considered a genius and a national treasure…now in the midst of a public meltdown.” Sound familiar? Each story from “The Nightingale and the Rose” to “The Fisherman and His Soul” has elements of betrayal and redemption. Each is worthy of reading, and offers a different perspective on the author many only know for his arrogance and caustic wit, but read carefully – you may still find some traces. When Oliver Goldsmith and Oscar Wilde cleverly wrote plays about the upper crust, with comical attention to their superficial lives, they used the farce as a vehicle for laughing at the rich, while exposing their callousness. Sadie Jones, using this model, invites you to become her audience in her novel – The Uninvited Guests. If you can persist through the slow initial descriptions of setting and characters, you will be rewarded with a wild story and a romantic commentary on what is really important in life. Other critics have noted the Jane Austen-like tone of the novel, and Jones sustains this by dressing her characters in period costumes and setting the story in the early 1900s at an aging British mansion. Emerald Torrington is celebrating her twentieth birthday with a party of invited guests who include a rich eligible bachelor, two old friends she has not seen since childhood, her brother and much younger sister, and her mother – the resident beauty of the house with a secret past. Assorted dogs, cats, and horses are also in residence and play roles in the action – a pony stealing the show at one point during the stormy night. The family fortune is in peril, and Elizabeth’s step-father had gone off to secure a loan to save the lifestyle to which they all have become accustomed. Enter the uninvited guests: a group of third-class passengers from an overturned railcar accident seeks shelter at the house. Of course, the birthday party must not be disturbed, and the weary travelers are shuffled into a small room to wait. 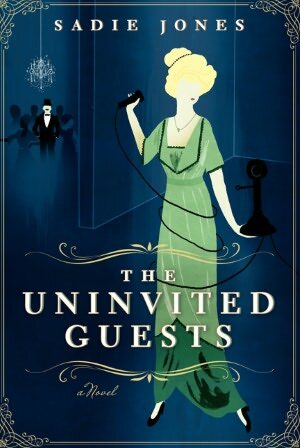 One man, however, a first-class passenger, insinuates himself into joining the festivities; his past connection to the lady of the house creates suspense as he eventually manages to expose her secrets as well as uncovering the true nature of each invited guest through a diabolical game. If you are looking for effective social satire with some romantic Downton Abbey period interludes, you might want to join the party. 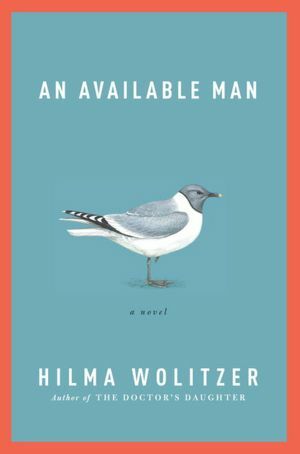 In An Available Man, Hilma Wolitzer explores the life of Edward Schuyler, a 62 year-old science teacher, after the death of his wife – not a biting satire like Oscar Wilde, but a comedy of manners with a poignant mix of humor and pathos that addresses a life after death. Edward hesitatingly gets back into dating, and one response surprisingly takes him back to his broken past and the one who left him standing at the altar. As Wolitzer takes Edward through a series of misbegotten adventures with his family as well as his dates, his life becomes a series of lessons easy to observe as a reader but probably hard to actually live through. He even suffers the death of the family dog, but finally Edward finds true love again, in an unlikely possibility, and receives the gracious blessing of his dead wife’s ninety year old mother. 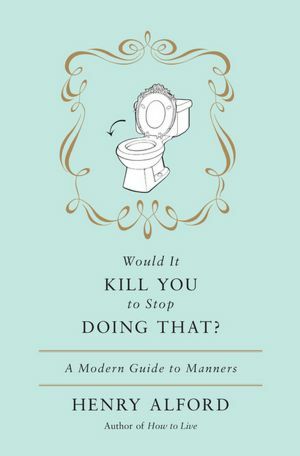 When I was floundering, trying to decide what to read, my good friend came to the rescue with this book, and I am thankful for its witty and thoughtful tonic. I needed a happy ending – and Wolitzer delivers – without cynicism. Would It Kill You to Stop Doing That? The Drop-Off: wait until your friend is safely in his/her car, or has unlocked the front door, before squealing your tires to get away. Pregnant or Well-Fed? : Never assume anyone is pregnant; wait for the person to tell you so. Emails can be landmines, and Alford devotes chapters on electronic communication, including Facebook. It might be better to reach out and call (I recently did when I realized my lengthy response required overediting and too many emoticons). Shine a flashlight on that person behind you in the audience who is unceremoniously chatting through the performance (verbally berating them would only add to the noise). 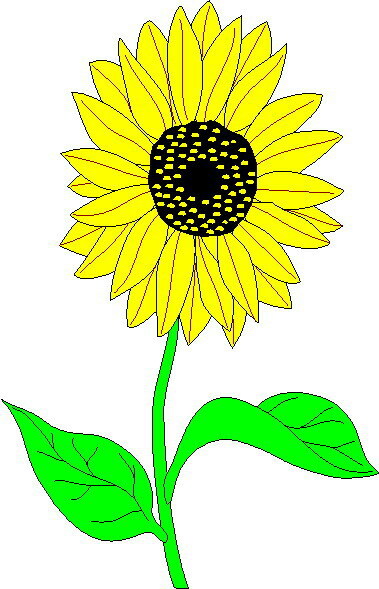 But he also offers his “lovely G’s” – lovely gestures, a list of ways to endear yourself to others with your good manners, for example, sending a picture of what you bought with that gift certificate with your thanks. Alford ends with his new-found determination to transfer good manners to his home turf – New York City. He now volunteers as a tour guide, and shares the local etiquette, including how to steal a cab and how to ask intrusive questions. Old age is very, very taxing. The memory banks start to cloud, or to be covered with a caramel-colored, resinous sludge that is the mother of earwax.